Featuring a reading corner with various genres of novels ever ready for you, our classical interior with soft lighting provides a pleasant space of tranquility. Ultra-comfortable sofas arranged to put your mind and body at ease, so you can have even a long reading free of stress. Reclining chairs are also at your freedom to use, so please enjoy the space leisurely. This private room space is furnished with a computer for one person use. 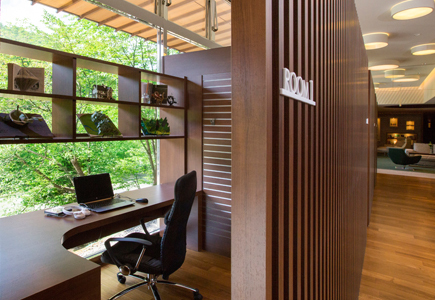 Whether it's for a little business, or even for reading a novel from Noguchi Collection, you are completely welcome here. As you look up to the adjacent window, you can see the calm permanence and plethora of Kitayuzawa's nature spread expansively upon itself, healing tired eyes and mind. As our hotel's pastry chef bakes cakes each day, free hot coffee is prepared and available for you. In the rear of the room, Date City area maps and other information pamphlets are arranged so that your sightseeing plans can be assisted with certainty. 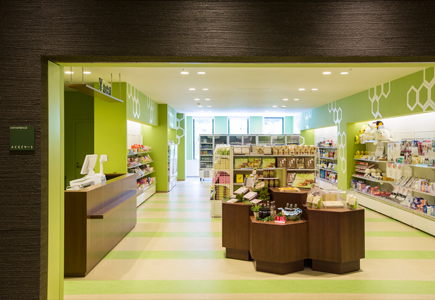 This in-hotel convenience store goes beyond definition. 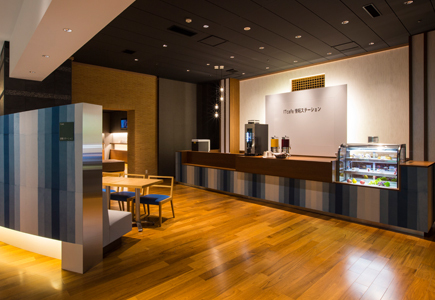 With a variety of everyday essentials on hand, including drugstore items, drinks and snacks, and original Hokkaido products, you can rest assured. Original specialty sweets made by the hotel and an assortment of gifts and souvenirs can be purchased as well. For those who wish to send their goods back home by post, this option (and duty free pricing) is also available at the counter. 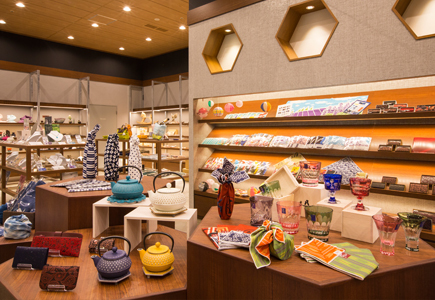 A collection of local goods, in addition to crafts and specialties from all over Japan. Whether for personal use or gift, a sophistication of Japanese tradition, skill and history are embodied in each piece. Be sure to visit the art gallery section - to be inspired before your eyes. 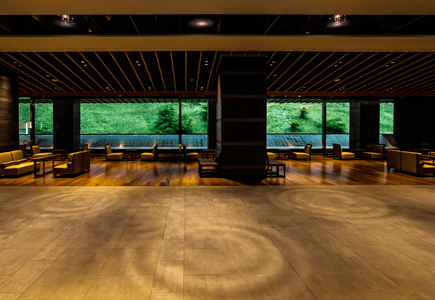 The spacious lobby is an exquisite blend of refinement, texture and design. Decorated with fantastic water drop light art across the way and panoramic nature view through the long windows, to your sensory satisfaction. Come and get settled in with a delicious welcome drink. 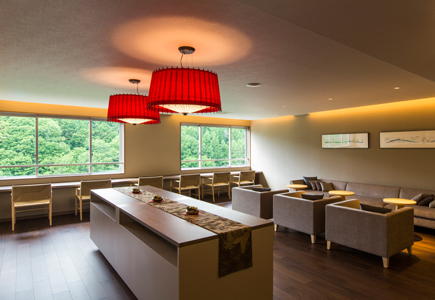 For guests rooming on the 9th to 11th floors, you can access the private lounge(s) at your will. 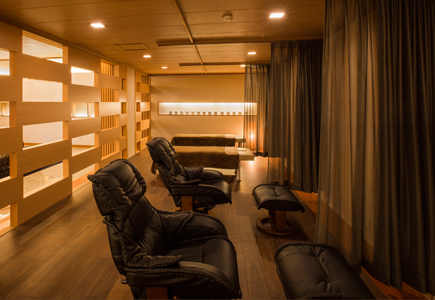 The 10th and 11th floors offer massage chairs in a comfortable environment. The 9th floor is exclusively for women, complete with a selection of magazines, and complimentary hydrogen water. Multiple health benefits are associated with hydrogen water such as the power to fight aging, return the body to a healthy cycle and regenerate skin to a youthful state. This marine esthetic is designed to pursue a true health beauty. 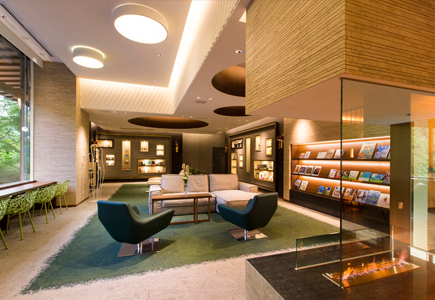 Located on the 10th floor, come enjoy a treatment and make the best of your este stay. Just outside of the hot spring bath, located next to the resting area is the relaxation corner. 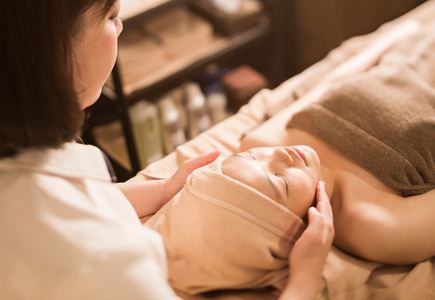 From a relaxing hand and foot to full body reflexology massage, we offer a variety of courses.